Are Probiotic Brands of Nutritional Supplements Better Than Prebiotics? 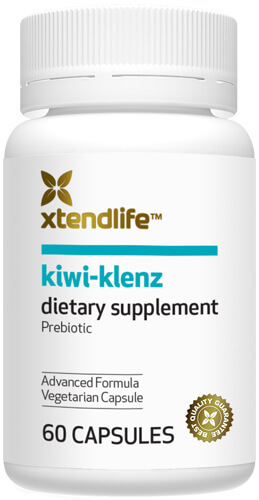 There are a number of probiotic brands of nutritional supplements available commercially which are particularly targeted at people looking for a supplement to maintain the health of their digestive system. There is no denying that probiotics offer health benefits, but prebiotics are starting to emerge as better options. Dietary supplements containing probiotics are meant to provide support to the good bacteria already existing in the gut. They are specifically formulated to keep a balance in the digestive system and strengthen the body’s defenses against bacteria-causing diseases. Studies have claimed that probiotics aid in preventing certain digestive-related illnesses, such as intestinal inflammation, diarrhea, atopic diseases and urogenital infections. Probiotics are not naturally present in food, but are actually manufactured using certain microbes. Bifidobacteria and lactic acid bacteria are the most common microbes used in manufacturing probiotics. These types of supplements have been found to have health benefits to the human body and are generally considered safe. However, questions about their effectiveness continue to be asked, not just by consumers, but also by experts. There have been doubts on how effective probiotics are when it comes to promoting digestive health. Some experts have claimed that any benefit that probiotics can provide to our body is minimal at best and that they are not really needed since humans already have good bacteria that are inherently present in the gut. Moreover, a number of studies have claimed that probiotics do not survive manufacturing processes and their structures are completely altered by processing or treatment, which means that when they reach the stomach, not much of their content is preserved. Probiotics are also said to have no resistance against the acid in the stomach and that once exposed, they disintegrate or diminish. In manufacturing probiotic brands of dietary supplements or when adding them in food, several factors are said to affect their chances of survival. One is the physiological condition of the probiotic being used in the process, while another is the processing’s physiochemical condition. Storage temperature, the chemical composition of the ingredients and the way the various components of the product interact can also affect the survival of the probiotic or its effectiveness in the final product. Experts believe that some probiotic supplements may not have enough of the original probiotic by the time the procedure is completed, which means that only a very small part of the benefit can be had in some brands. There have been suggestions of taking prebiotics along with probiotics to achieve maximum digestive health benefits. According to some studies, probiotics may not even work unless prebiotics are also present. Prebiotics are non-digestible food ingredients that serve as food to the good bacteria in the gut. They keep the good bacteria thriving, which makes them more powerful in terms of pushing the bad bacteria away. Prebiotics are said to create a hostile environment for bad microorganisms in the colon, effectively keeping them at bay. Efforts have lately been exerted to create synbiotics or products that contain both prebiotics and probiotics. However, more studies are needed to understand the extent of these products’ usefulness. Taking a separate prebiotic material on top of probiotics is the more common method used by those who wish to have the benefits of both. Meanwhile, others claim that prebiotics are enough to keep the digestive tract healthy and that probiotics are not needed since the stomach already contains good bacteria. Regardless of which claim is correct, there is no doubt that probiotics do provide benefits to the digestive system, although the extent of these benefits is still not clear. If you want to really have a healthy digestive system, it will be better to use prebiotics as well as probiotic brands of supplement.